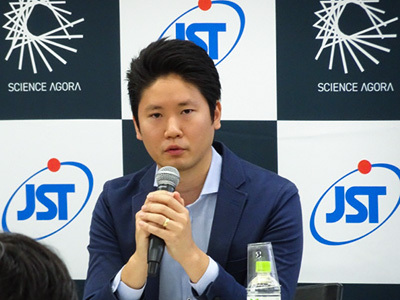 President talked about the AAAS 2019 Annual Meeting. 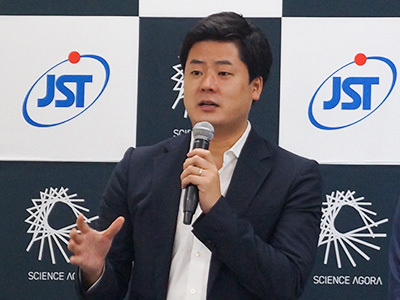 Then, Professor Akira Furusawa, Professor, School of Engineering, the University of Tokyo, gave a lecture on the ultimate coherent optical quantum computing. 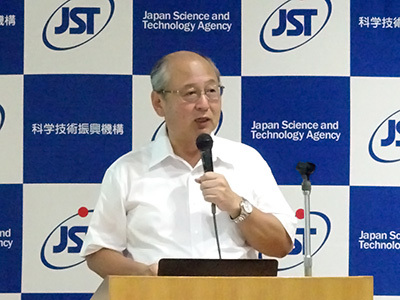 President introduced the highlights of FY2019 budget. 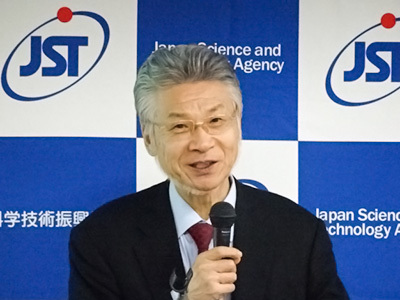 Then, Professor Kenichiro Itami, Graduate School of Science, Nagoya University and Director, Institute of Transformative Bio-Molecules (ITbM), talked about ERATO Itami Molecular Nanocarbon Project—Molecules Hold Infinite Possibilities. 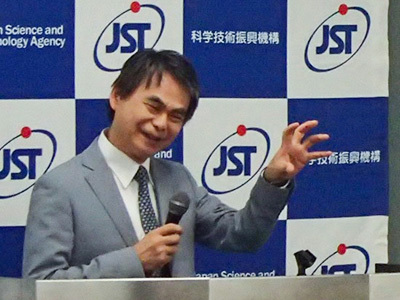 Mr.Tsuda, ANA Digital Design Lab. 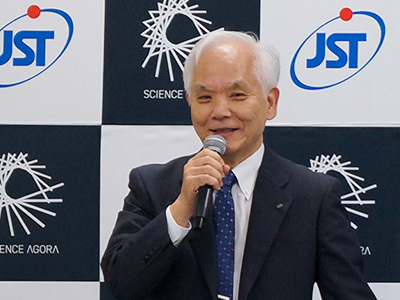 Mr.Fukabori, ANA Digital Design Lab. 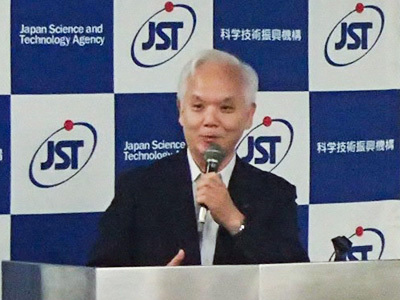 Mr.Kajitani, ANA Digital Design Lab. 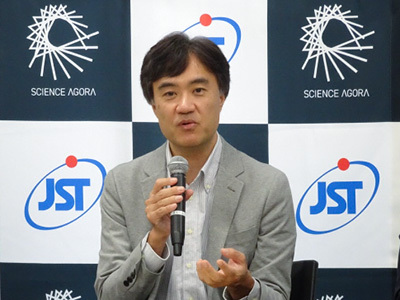 President introduced Science Agora 2018. 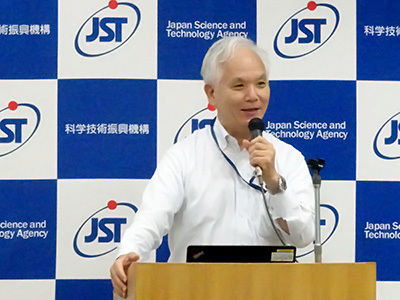 Then, Professor Tachi spoke about Telexistence, ANA AVATAR XPRIZE, and future visions. 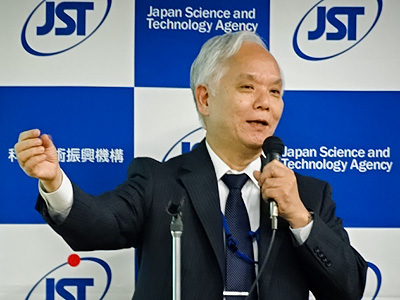 Professor Minamizawa introduced a development of haptic technology. 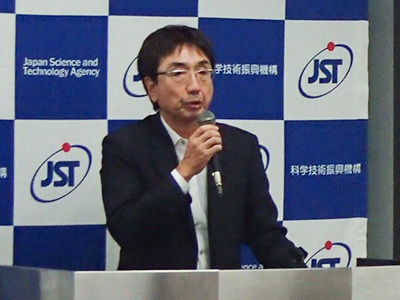 President spoke about JST's actions toward the Cross-ministerial Strategic Innovation Promotion Program (SIP). 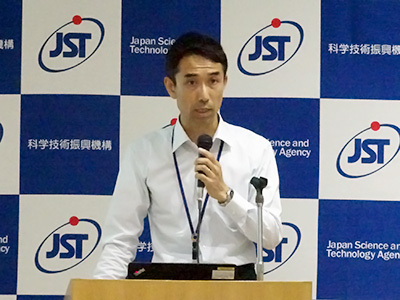 Then, Shimabayashi, Deputy Manager of the Department of Innovation Platform of JST presented how the program has developed. 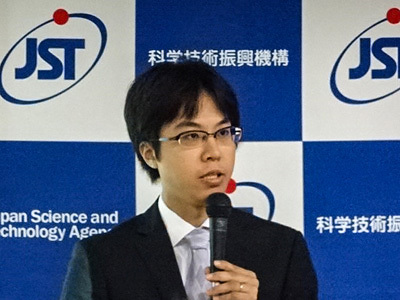 Next, Masanori Sugiyama, Program Director of SIP: Innovative Combustion Technology, and Professor Norimasa Iida, the gasoline team leader, gave lectures about outcomes of their program and collaboration between academia and the industry. 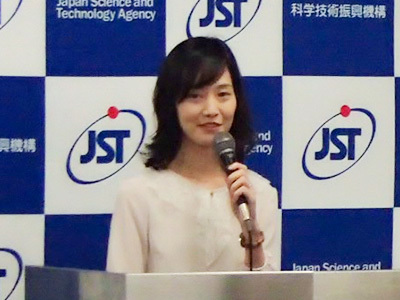 Copyright(C) 2018 Japan Science and Technology Agency. All Rights Reserved.